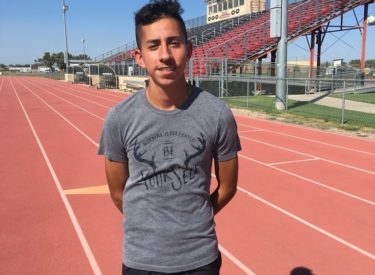 Liberal senior cross country runner Javier Carrillo is the Hay Rice and Associates Athlete of the Week. Carrillo placed second at Hugoton Saturday in 18:04.55. Carrillo helped the Redskins win the meet in what was the first meet win of the season for Liberal High. They had also competed at Borger and Hesston. Carrillo has made state twice in cross country and track. Carrillo is also a member of the Rowdy Crowd and LHS Student Council. Carrillo and the Redskins run at the KU Invitational in Lawrence on Saturday.